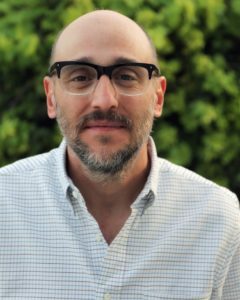 MFA, screenwriter/director/producer, WGA member, whose feature credits include The Hawk Is Dying starring Paul Giamatti and Michelle Williams, The Eulipion Chronicles, and Trans. Mr. Goldberger served as an executive producer on Loa, Immokalee U.S.A., and Phantom Love. He also has pilots and features in development with Lionsgate Television, Bow Street Films, Down Home Pictures, Sound Pictures, and Universal Studios. Whether it’s a feature script or a TV pilot, the success of your stories depends on a voice that is bold and clear. My job is to clarify the fundamentals of narrative storytelling, while at the same time empowering you, as a writer, to tap into and reflect what is unique about your experience and worldview. Your ticket to ride is all about who you are as an artist, how you see the world, and how you harness your craft to tell stories that have resonance and authenticity. My role is fully in service of bringing that to fruition.